As I’m not travelling at the moment I decided to share some stories of some of my older travels with you. I don’t want to give special recommendations on places, as I’m not sure if they still exist or if they are still good (even though I still might do it every now and then). Nor will I make recommendation about what exactly to do if you could figure that out on your own when you’re there. I’ll just give some impressions on how I experienced a place. It’s been three an a half years since I left, so I thought I might as well start with Sydney. This city is so big, that writing one post about it would be a joke.Therfor I wanted to concentrate on one particular question and this is: Which beach is the nicest in Sydney? Now I don’t claim to have visited all of Sydney’s beaches and answering the question is very subjective. I rather picked a favourite and than returned again an again. Funny enough my one of my all time favourites was the first one I visited: Manly. Manly is on the North Side of city, meaning, that if you are at the city center, the CBD, the easiest way is to take a ferry from Circular Quay. Of course you could take a bus, but that would mean changing busses and I guess it could take up to two hours while the ferry only takes 30 minutes. And well, additional to the time factor, well you know, I just love ferrie rides. When you arrive in Manly, you’ll notice that it doesn’t have the backpacker feeling Bondi Beach has. Yes, there are also surfers, but it looks more like more locals are hanging out here and not only tourists as in Bondi. All together you might also say, Manly is a posher place than Bondi. The shops are mainly the same but it has some nice restaurants on the waterfront. The beach is nice, big and seems not as crowed as Bondi Beach. 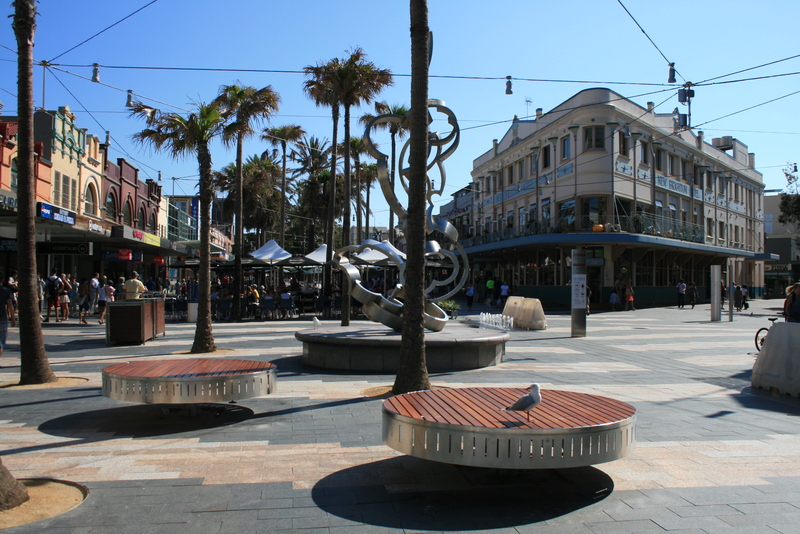 And Manly has an big advantage: There is a Max Brenner inside Manly Wharf. If you love chocolate and haven’t been to Australia and don’t know what Max Brenner is: this alone is a reason to go. Max Brenner is the most fabulous chocolate café place I’ve ever seen. They server chocolate fondue (even though that never really attracted me) but they have the best hot chocolate brownie which comes with melted chocolate on top and… well look for yourself. In the wharf was another reason why going to Manly was always good for something else than lying on the beach: Manly had an Aldi supermarket, so I could get something reminding me of home every now and than like dark bread or christmas cookies in November. So, if you ever come to Sydney: go to Manly. Look for yourself. If you are German, shop at Aldi. 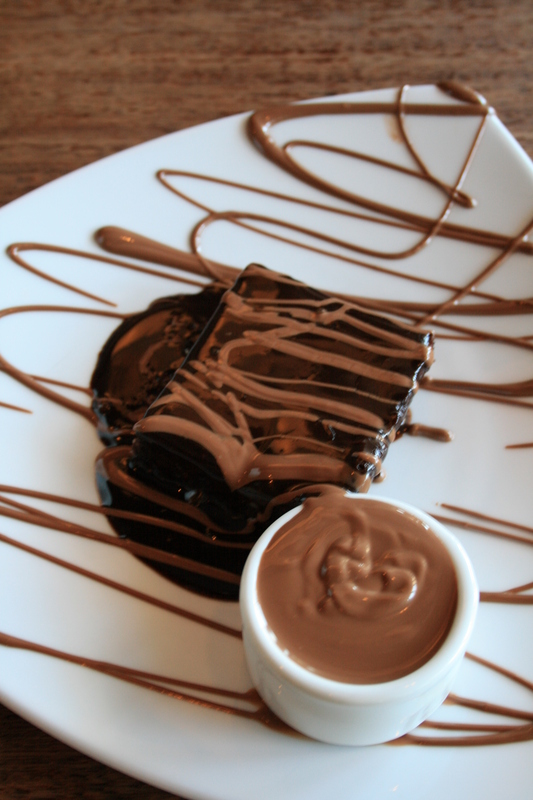 If you love chocolate and if it’s not too hot (because yes, there can be temperatures when the only chocolaty you can eat, would be icecream), have something nice at Max Brenner. Enjoy the ferry ride and just have a nice time! Also check out what else you could do in Sydney here. 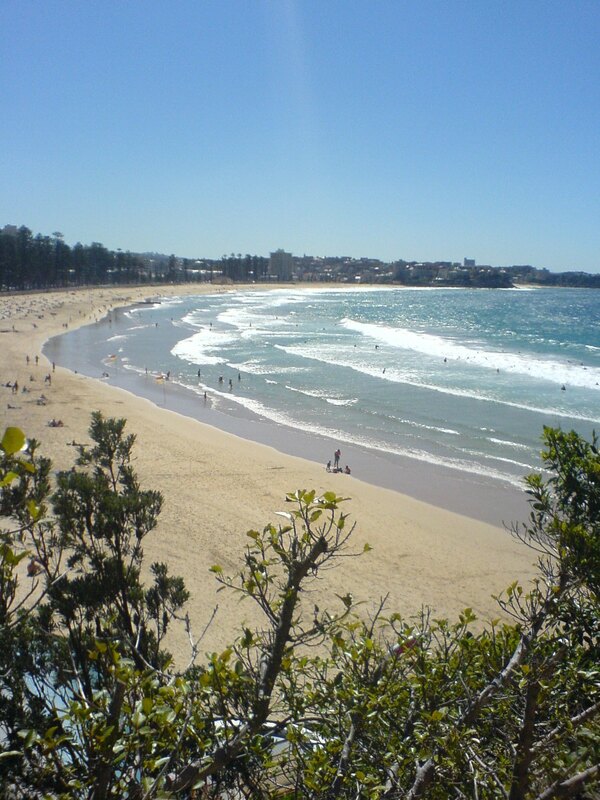 This entry was posted in Australia and tagged Beach, Manly, Summer, Sydney by kathatravelling. Bookmark the permalink. Being there 3 months ago, I can share my experience too. Good thing about Sydney is that little has changed since our studies. Only prices have risen up, tremendously in fact. I totally agree with you : if you ever come to Sydney, go to Manly. I stayed an entire afternoon there with a good friend of mine I haven’t seen in four years. We went for our regular activities, lunch at a fancy restaurant nearby, a walk and a swim at the beach.